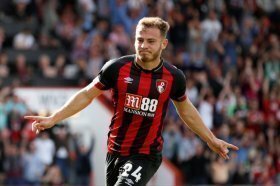 The Scotland international has enjoyed a fantastic season in the Premier League this term, and he has already contributed six goals and 10 assists for the Cherries. According to The Mirror, his showing has caught the radar of several top-flight rivals but the Gunners could be leading the race as they prepare a potential bid at the end of the season. Arsenal have struggled to find the output from Denis Suarez since his mid-season loan move from Barcelona and it is suggested that they could decline him permanently to pursue another wide player. Meanwhile, Emery is said to be open to the prospect of Danny Welbeck staying on beyond the summer. The Englishman's contract expires in June, but the manager seems prepared to back him with an extension despite his season-ending ankle injury.